I’m not sure if you are like me and love Starbucks White Chocolate Mocha or not, but either case – it’s my favorite coffee beverage. However, the “skinny” version which is made with skim milk is 470 calories for a large. This means that I do not go to Starbucks and get my Venti White Chocolate Mocha often – probably two times a year. On top of the high calories, it’ll run you about $5.50 for that same beverage. Let me put that in perspective for some of you. If you drink a large latte every weekday – that is $27.50 a week, $110 a month, or $1,320 in a year simply on coffee. That price is too steep for me so I make my own version at home and now you can too! The good news is that you’ll save yourself lots of time, calories, and money! What could be better than that?! This recipe is super easy to make and quick. You just put your cup under the Keurig and brew the coffee. 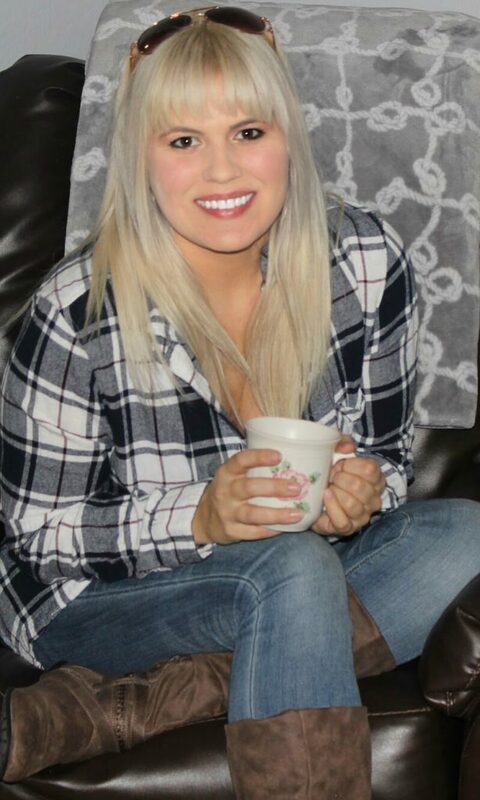 I highly suggest using Starbucks Blonde Roast coffee. It’s not as strong flavored, but if you really enjoy stronger coffees you could use the medium or dark roast, but to make it taste like a latte, you’ll have to add more milk and Stevia. It’s up to you, but I find the Blonde Roast works the best. You can find the white chocolate sauce at your local grocery store as well. It is on the same aisle as the coffee. 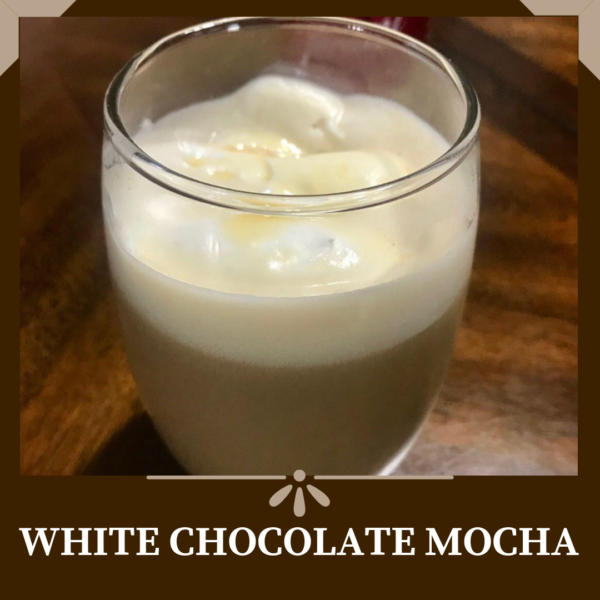 A quick & easy way to make Starbucks White Chocolate Mocha. Brew the K-cup according to instructions. Add in the Stevia, white chocolate sauce, and milk. (Optional) Top with whipped cream.